The 80-foot-tall McWay Falls, surging after several days of heavy rain, is colored by the setting sun as rain clouds continue to hang overhead. 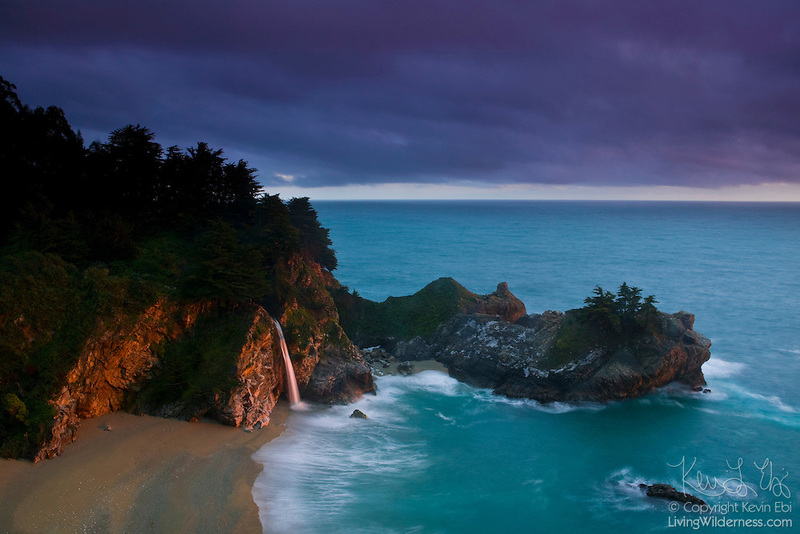 McWay Falls is one of the few waterfalls that empty directly into the Pacific Ocean. Such waterfalls are called tide falls. McWay Falls is located in the Big Sur region of California, south of Monterey.